Earlier this week, I was on the 10 freeway in my Prius, and scanning the radio. I landed on the KPFK annual spring pledge drive. The announcer said “May is here! It’s time to raise money for public radio! !” What do you think the music was? “Dah da da da dada deee…dada da da da dada dee”—-oh my god, really? Again? And when we think of Vivaldi, we hear music suited for the pledge drives of any season, but we don’t think of who he was – who he actually was. Vivaldi was a priest. He had a shock of red hair. He was rumored to have been born on the day of a massive earthquake in Venice. His mother was so grateful they survived that she immediately committed her baby Antonio to the priesthood. When he was ordained 25 years later, he was nicknamed, Il Prete Rosso: The Red Priest – a virtuoso violinist. Vivaldi became legendary in his time. Even Bach stole his concertos. But in his lifetime, Vivaldi’s concertos weren’t played in a concert hall, or even in the courts of Vienna or the Esterhazy, like Mozart and Haydn. No, Vivaldi’s venue was an orphanage. A place called L’Ospedale della Pieta, where abandoned infants could be left at a tiny window called a ‘scaffetta’. When they were old enough, these orphans were handed an instrument and taught to play by Maestro Vivaldi. At 15, the boys had to leave to learn a trade, but the girls stayed. So imagine: Vivaldi’s orchestra, the group that premiered pieces like the Four Seasons, which end up on public radio 300 years later, were mostly orphaned, abandoned teenage girls. They became some of the most celebrated musicians of their time. 300 years ago, at the beginning of the 18th century, something else was happening here, on this coast. Spanish missionaries had completed their journey across the American Plains. They stopped about 18 miles from the Pacific Ocean, and they began building missions along the coast of California. And in the center of the city that they named after the Queen of the Angels, La Reina de Los Angeles, they named a street after the patron saint of wanderers, as they themselves had been wanderers across the continent. The legend of San Julian is similar to the story of Oedipus. Julian was born with a prophecy that he would one day murder his parents. And indeed, in an accident he did kill his parents, but he was cast out of society, forced to sleep on many a hard bed, and bear many scornful words from passersby. Julian built a shelter on the side of a highway, giving the warmth of his home and hearth to anyone, without discrimination. One day, while fishing in the dead of winter, Julian saw a man drowning at the far end of the icy cold lake. As he rowed over, he could see that this man was severely deformed, covered in unsightly boils – he was a leper. He was a person society said was untouchable and unworthy, but Julian dragged him out, brought him back to his shelter. Julian stoked his fire and fed this man every last scrap of food he had. 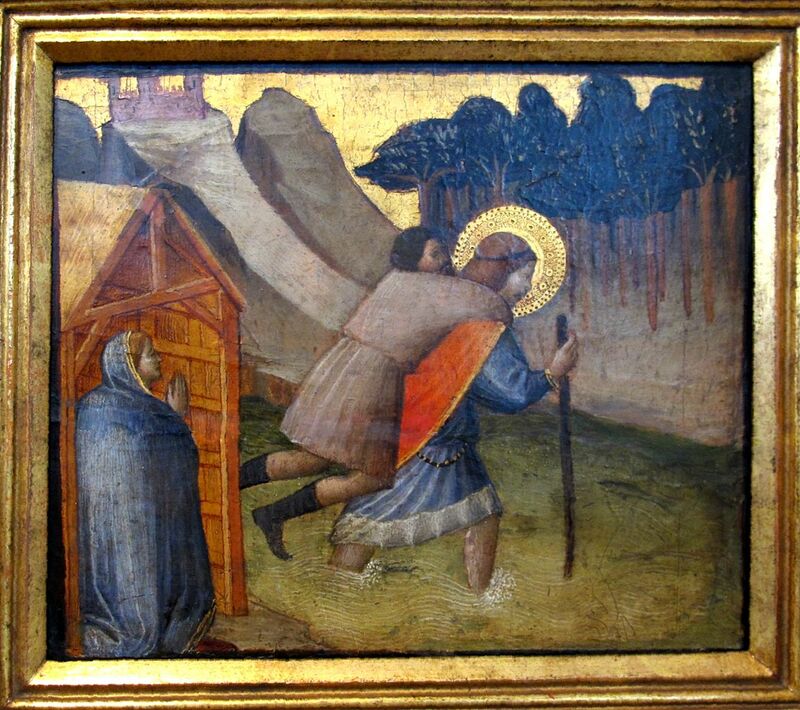 And then, because the leper was hypothermic and shivering to death, Julian took off his own coat and literally embraced the man, and held him. They fell asleep that way, and in the morning, the leper had disappeared – replaced by the angel – who blessed Julian. San Julian is the patron saint of travelers and people who build shelters. Also, strangely enough, of fiddlers. If ever Vivaldi were to have a patron Saint, I think it just might have been San Julian. San Julian St. is a real place in Los Angeles. We could walk there from here. San Julian Street is Skid Row. It’s the epicenter of the homeless capital of the United States. Tonight, more than 10,000 people will sleep on a hard bed in the 50 square block area of downtown Los Angeles. 80,000 people in Southern California experience chronic homelessness. An overwhelming majority of homeless people are diagnosed with some form of mental illness. On Skid Row and beyond, people experiencing mental illnesses often find themselves trapped in the revolving door of mass incarceration – as the de facto treatment of mental illness in the United States is incarceration. It’s no surprise that Twin Towers Jail, also walking distance from here, is effectively the country’s largest psychiatric institution. But Skid Row is also a place of hope – it is truly the home of the modern day San Julians. The people living and working on Skid Row are some of the most courageous and warm people I have ever met. The people we call the ‘poorest’ are actually the most generous. 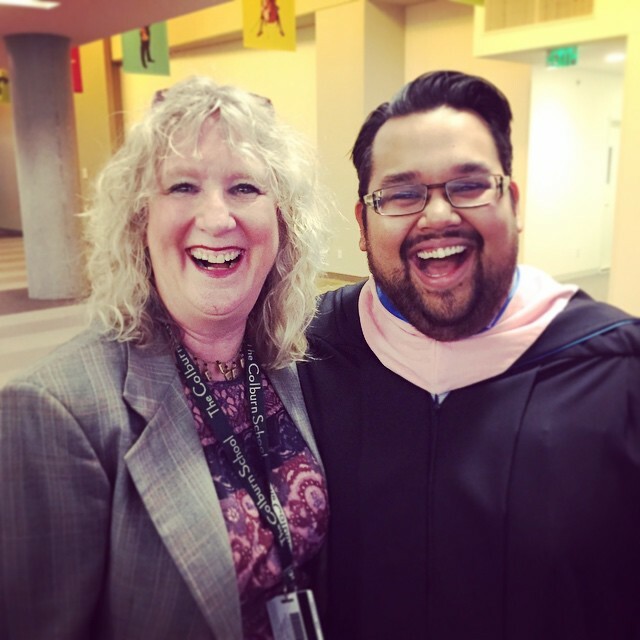 I’ve found that some of my greatest and most humbling teachers are people whose homes might just be a chunk of sidewalk on San Julian Street, or a jail cell at Twin Towers. Now the point of this story is not that you find a homeless man on the street, give him your coat, give a hug, and then take him home. The point is that if Vivaldi were making music today, he wouldn’t be at Zipper Hall or Walt Disney Concert Hall. You’d probably find him somewhere on Skid Row. A few years ago I wanted to bring music to Skid Row. I reached out to heads of shelters and clinics all over LA. I would even go and personally play for them in their offices. No one returned phone calls, and it wasn’t because I played badly. And then I went to Skid Row – to the mental health clinic on Maple Avenue – and I played. It was the social workers, many of whom had personally experienced the life of homelessness, addiction and despair – it was these social workers who reached into their pockets to pull out crumpled 5 and 10 dollar bills to pay for sandwiches and cookies and Sprites so that their homeless, mentally ill patients could attend our concerts in the basement conference room of the clinic. 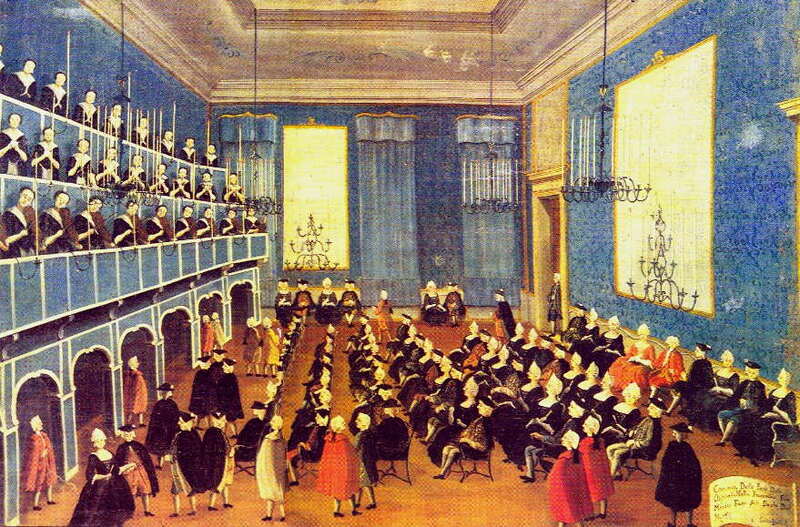 170 concerts ago, that’s where we started Street Symphony. Robert Schumann said, “To send light into the darkness of humanity’s heart – such is the duty of the artist.” At the beginning of Street Symphony, I thought we were bringing the light of music to people who could never come to the concert hall. We were bringing light into dark places. 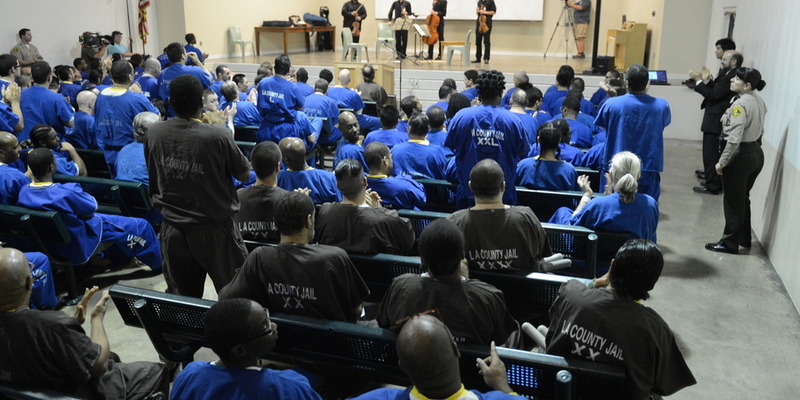 About a year ago, we played the first of Schumann’s Opus 41 quartets at the mentally ill ward at Twin Towers jail for 25 men in jumpsuits. Before we performed the slow movement, the cornerstone of the work, I had us play through just 8 bars. And in these 8 bars, the first violin and cello hold these whole notes in unison – these unmoving pillars of harmony. 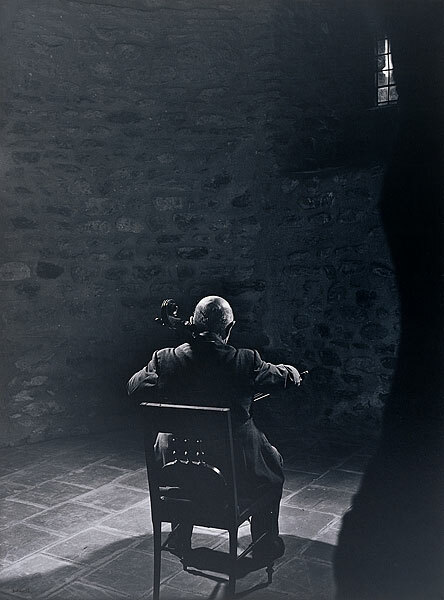 And the 2nd violin and viola play these 16th note slurred phrases back and forth that strain against the harmony, that try to escape into some happy place, to escape into release and relief, but each time, they are utterly trapped, stonewalled. To me, this was Schumann’s pain and anguish. This was him losing his mind. And when I said that to the inmates, one of the men said to me, “Man, that’s the way I feel most days”. And I said, without even thinking, I genuinely responded, “Man, some days I guess I feel like that, too…” I caught myself. Because as performers, we weren’t allowed to go there. Did I really mean that? I did. Some days I felt like that, too. I looked at my colleagues and they nodded. Some of them felt like that some days, too. We weren’t just bringing light into dark places in our society. We were illuminating the dark places inside our own hearts. We were creating a space where it was ok to feel, to transcend and be transformed – not just for our audience, but for ourselves. And maybe even for the sheriffs and deputies. For the judge. Music, capital-M Music, wasn’t happening because we played perfectly. Music happened when we could embrace the most fragile and vulnerable parts of ourselves. When we ostracize and criminalize the most fragile and vulnerable members of our society, we do it because we have pushed away the most fragile and vulnerable parts of ourselves. But if we can embrace the part of us that we shun – the deformed, leprosied parts of ourselves – we connect with what matters the most. We connect to our deepest values, and we give ourselves the permission to be authentic. To say what we really feel. To play how we really feel. Maybe even to truly understand what the composer was feeling. When we connect with the part of us that is most authentic, we discover the seed of our creative spirit. This is the vulnerable place that the great composers write from: Vivaldi, as the shepherd mourning the brutal destruction of his crops in a summer storm; Brahms, walking alone in the woods; Mozart, in every slow movement, mourning the loss of his mother and sister; Schumann, grappling with schizophrenia, eventually dying in an asylum, trapped in the prison of his own mind. We play this music because these stories are our stories. These are the stories of our world. They belong to everyone. Not just the people who can come to our concert halls. We walk into a world wracked with pain and turmoil. There are stories happening right now – in Baltimore, in New York, in Cleveland, in Ferguson, Missouri – these are our stories, too.There are stories in Los Angeles. There are tens of thousands of stories who will sleep on Skid Row, or a jail cell tonight. It’s our job to listen. It’s our job to receive and embrace those stories. People are not going to listen to us because of how perfectly we think we play or how many hours we spend alone in a practice room. They listen because we have something to say. So I say to you, class of 2015 – bring it. The world can’t wait to hear what you have to say. Thank you for this tremendous honor.